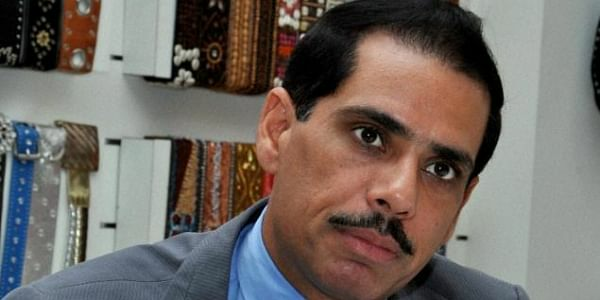 Robert Vadra said the former premier is an epitome of grace and maturity. File photo of Robert Vadra. NEW DELHI: Terming as "extremely shameful" Prime Minister Narendra Modi's 'raincoat jibe' on his predecessor Manmohan Singh, Robert Vadra today said the former premier is "an epitome of grace and maturity". "It is extremely shameful for the entire nation that a senior and graceful politician like Manmohan Ji had to bear the brunt of our Prime Minister Narendra Modi's jibes," the son-in-law of Congress president Sonia Gandhi said in a Facebook post. "His remarks, 'the art of taking bath wearing a raincoat must be learnt from Manmohan Singh' were extremely demeaning," he said. Vadra said, "Manmohan Ji is an epitome of grace and maturity that he even refused to respond to our PM". He recalled that a day before, Modi took jibes at Rahul Gandhi and made fun of earthquake that hit Uttarakhand. "It is sad to see our PM making such derogatory statements hurting sentiments of people," Vadra said. Replying to a debate on 'Motion of Thanks' on the President's Address in Rajya Sabha, Modi took a jibe at Singh, saying one should learn the art of "bathing with a raincoat on" from him as there was not a single taint on him despite many scams taking place under his regime. This angered the Congress which staged a walkout from the Rajya Sabha and hit out at Modi.